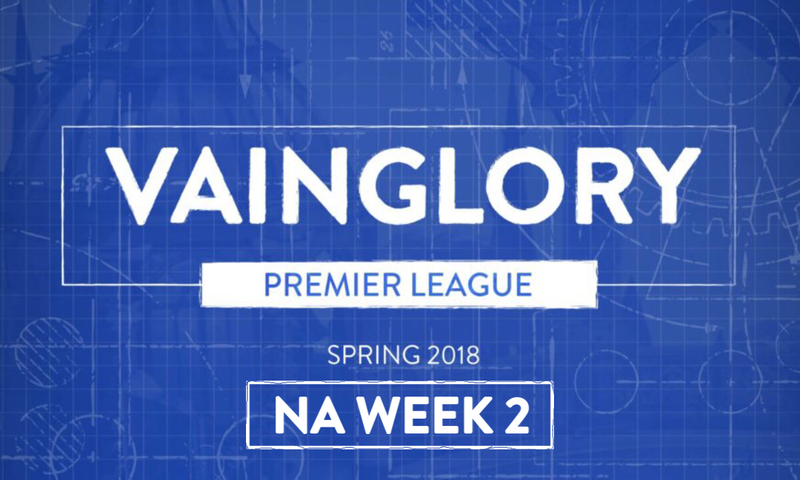 Welcome back to the Support Synergy series, and welcome to the first entry for Vainglory 5V5! This series focuses on all of the different support heroes available in Vainglory and which heroes to pair them with. In previous entries, we’ve looked at Fortress, Catherine, Ardan, Adagio, Phinn, Lyra, Grace, and Baptiste. Today, we’ll be analyzing Lorelai. 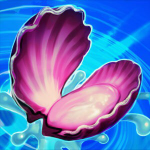 As one of the more recent additions to the support hero pool, Lorelai has been a refreshing break from the norm of frontline, tanky captains. Though her play style and ability kit may feel niche at first, once examined more closely, a dynamic, adaptable, and deadly captain pick starts to reveal herself. Lorelai brings a solid mix of crowd control (CC) abilities, early game damage, and late game carry protection to make her a useful contributor in all phases of the game. She works best with several tanky frontline laners or junglers who can soak up the damage she cannot. She also works well with fragile, squishy, late game hyper carries who will benefit immensely from peel and stuns to keep them safe from dives in the early game that her late game barriers. Teammates with CC abilities of their own also create opportunities for powerful chains of stuns and CC. She also functions well when flexing into a carry position, especially top lane CP. While the exact meta of 5V5 is still fleshing itself out, the top laner is frequently being played as a tanky, support-ish, objective-focused hero whose primary early game goal is to protect their turret and not die. Many captain heroes can flex into this role well, and Lorelai is no exception. 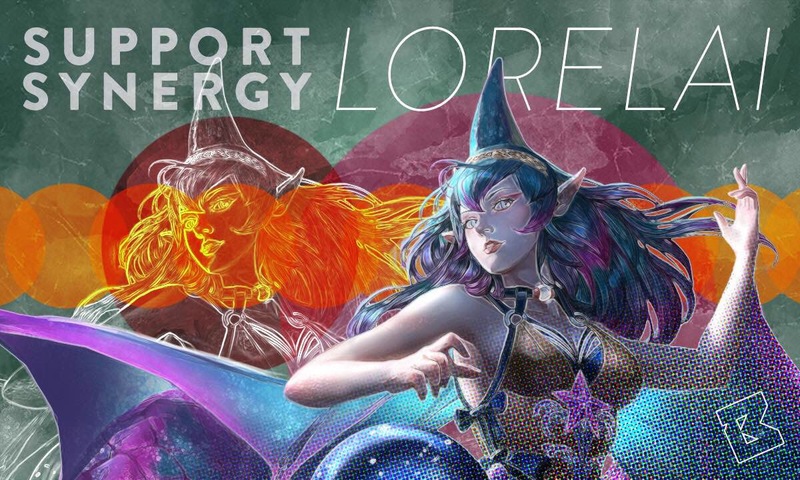 Lorelai excels in this role through her area of effect (AoE) crowd control and movement control, wave clear with her A ability, and empowered damage on her pools to dissuade enemy pushes. Let’s take a deeper look at each of Lorelai’s abilities to better understand what makes her such an interesting captain choice. Lorelai’s abilities leave pools on the ground. These pools empower each of her abilities. Additionally, Lorelai’s basic attacks deal crystal damage that apply bonus empowered damage when she is standing in one of her pools. This additional base damage packs a powerful punch in the early game. Understanding how the pools work, when and where to place them, and how they empower each of her abilities will be a crucial element of your success as a Lorelai captain. At a target location, Lorelai summons her pet clam, who snaps closed after a 0.8 second delay and stuns any enemy units for 0.45 seconds (stun duration scales with her bonus health). When cast while standing in a pool, Lorelai consumes the pool, and the casting delay is significantly shorter. After the stun, a pool of piranhas stays on the ground, which damages any enemies inside the pool. Knowing how to time and position Fish Food will be one of your most important skills when playing as Lorelai. You can use the stun to secure kills on fleeing enemies, stun multiple enemies diving on top of your carry, or drop it into the middle of a brawl and make it harder for enemies to see the animation and use their Reflex Block. You can also use it as a means of dictating where your enemies do or don’t want to walk by placing it in your enemies’ desired path. Thus, making them choose between a stun or a longer path to their desired locations. As a general rule of thumb, the more stuns you land with Fish Food, the more likely you are to win games with Lorelai. 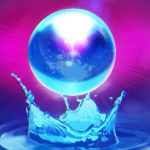 Lorelai throws a sphere of water to the target location, which splashes down and creates a pool. The pool decreases enemy movement speed and increases ally movement speed. When casted while standing inside of another pool, the pool lands more quickly. Splashdown is a great ability in the early game for dictating team fights. Teams will often back away from a fight with a properly placed pool, knowing they will lose mobility and you will gain it. You will deal empowered damage when in the pool, and you can more quickly stun them from inside the pool. The bonus damage also pairs well with an early Shiversteel, providing her with slows both in and out of her pools and more frequent empowered attacks to the increased attack speed. Lorelai casts a protective barrier around herself or a nearby allied hero. 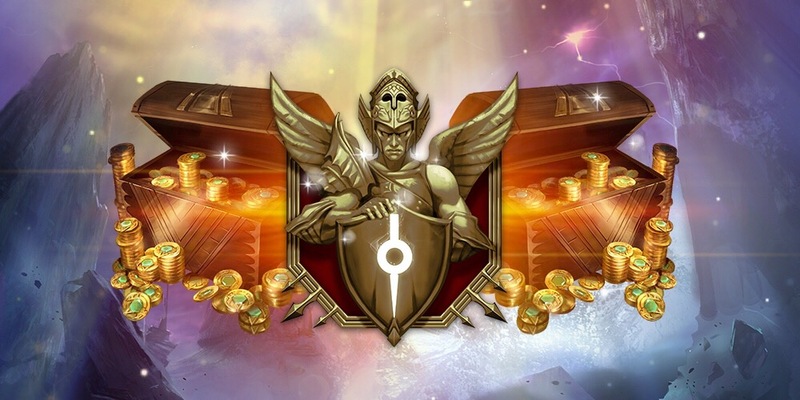 The barrier is massive, currently the largest in Vainglory, and lasts 4 seconds. 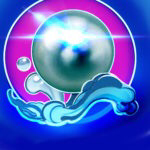 When cast, it also “cleanses” the target of all negative status effects like stuns, silences, and slows. If cast while Lorelai is standing in a pool, the barrier will be even stronger. After the 4 seconds are up, the barrier drops down onto the ground, leaving the target and any nearby enemies standing in a pool. Water Wall is what helps Lorelai shine in the late game. You will always want to max this ability when you can, and it is usually worth purchasing either an Echo or Clockwork as soon as reasonably possible to increase the number of times you can use this ability within a team fight. You can choose to prioritize squishy hyper carries, or already tanky heroes who can jump into the middle of a team fight and withstand the bulk of the damage from all 5 enemies. Just make sure to cast the ability when a teammate is currently taking—and is likely to continue to take—large amounts of damage so they make the most of the barrier. Much like Lyra before her, Lorelai’s flexible ability kit, long range damage, and protective abilities come at the expense of a bulky frame. Lorelai is very squishy, and she cannot tank frontline damage like Lance or Ardan. Positioning becomes extremely important when playing Lorelai, as she also does not have an innate escape ability she can use as an emergency exit button in bad situations. Navigate the jungle with caution and avoid overexposing her to enemy carries without an ally or turret nearby to protect her. As mentioned, Lorelai plays best with tanky frontline heroes who can soak up the damage she cannot; with hyper carries who can make the most of her barriers in the late game; and teammates who have CC abilities to chain with her. Let’s examine each hero and how they pair with Lorelai in depth. Adagio: Lorelai and Adagio can definitely struggle as a duo due to their combined immobility, but they find themselves in the strong synergy category due to their sheer flexibility. They can both plug and play in several different roles across the map, they both have a flexible ability kit that can mold to the team around them, and they both bring an immense amount of utility to team fights. Alpha: Alpha can soak up tons of damage on the frontline and stick to enemies. Try to dive past the front line, which helps Lorelai work her magic from the back line. In a pinch, Lorelai can also use her Water Wall on Alpha during her reboot to make sure she gets that second life. Ardan: Carry Ardan in the top lane has been catching on, and he pairs well with a Lorelai captain as a big, frontline body in a semi-utility role that will still keep him fairly tanky and keep Lorelai off the frontlines. Lorelai can also flex into the top lane role with Ardan as the support, allowing you to keep your enemies guessing in draft. Baptiste: As one of the more unexpected developments of the introduction of 5V5, weapon power (WP) Baptiste has revealed himself to be an incredibly strong top lane or jungle carry through the use of his innate sustainability and an impressive CC ability kit on a WP carry. His CC, frontline tankiness, and ability to flex into the captain role pair great with Lorelai. Baron: Baron can pair extremely well with Lorelai in the middle or bottom lane as a hyper carry designed to dish out the bulk of his damage in the late game. Once Baron hits his three or four item power spike, Lorelai will be able to back him up with one or more barriers in team fights to make sure he can blow up the enemy team before they can take him down. A Baron that can jump into a team fight with the proper protection from his teammates is a Baron to be feared, and Lorelai provides exactly that. Catherine: You may be starting to sense a theme: Heroes who can flex into either a carry or captain position tend to pair well with Lorelai, and Catherine is no exception. Catherine has begun to see a fair amount of play in the utility carry role. In either role, she has perhaps the best CC ability to pair with Fish Food in her Merciless Pursuit. She can pin down a target for Lorelai to cast Fish Food under, and the cast time of Fish Food happens to be just about equal to the stun time of Merciless Pursuit, making the most use of both stuns. That in addition to her tankiness and silence makes for a nasty pair. Celeste: Celeste fills that same hyper carry role like Baron, only she should be played as crystal power (CP) in the mid lane. When playing with Celeste, Lorelai should spend a bulk of her time in the early game in the mid lane with Celeste, protecting her from ganks and harassing the enemy carry to make sure Celeste gains an advantage. Once Celeste hits her all-important level 8 power spike when she gains range on her Heliogenesis, Lorelai will have Water Wall(s) ready to protect her from any enemies that manage to get on top of her. Glaive: A tanky frontline hero with a massive stun, Glaive makes an obvious choice to pair with Lorelai. Even better, Glaive can flex into the captain role and allow Lorelai to carry if needed. Idris: CP Idris fills that late game hyper carry role that Lorelai can support with Water Wall. WP Idris would fall more in the mild to neutral synergy category with Lorelai. Joule: WP Joule is a great fit with Lorelai. She is extremely tanky on the frontline due to her perk, she has a massive stun that pairs great with Fish Food, and she can dish out massive damage in a late game team fight with Water Wall protecting her. Kestrel: Built WP, Kestrel can dish out heavy damage to enemies from long range, and Lorelai can make it harder for enemies to dive on her. Built CP, Kestrel and Lorelai can set up some really crafty plays with Fish Food and Active Camo. Kestrel is hard enough to pin down, and Lorelai can make the enemies’ task of getting on top of her to dish out damage even harder. Krul: So far, Krul is having a moment in the sun in 5V5. With Lorelai, the slow from his perk makes for an easy Fish Food target and pairs well with the large AoE slow on her B. He also checks the frontline tanky box that Lorelai needs. Lance: Like Catherine before him, Lance provides that combo of flexibility, CC abilities, and tankiness to make a great pairing with Lorelai. Ozo: Ozo’s tankiness allows him to absorb some of the damage on the frontline that Lorelai cannot, while his stun can set up a nice chain with Fish Food. He also is great at chasing down enemies to finish off kills that may otherwise slip away from Lorelai. As a bonus, he tends to be a great distraction in team fights, with enemy teams struggling to ignore him jumping all over the place. Water Wall helps that distraction keep going. Reim: Again, Reim has the innate tankiness to be on the frontlines and keep Lorelai safe on the backlines. His rooting ability also sets up Lorelai for easy Fish Foods, which in turn makes it easier for Reim to land his Valkyrie stun. Rona: Rona remains much the same strong melee carry that she was in 3V3. As an in your face, brawling hero who can tank up and sustain through damage more than almost anyone, she makes an ideal frontline carry with Lorelai, and she makes excellent use of Water Wall once she is in the fight. Skaarf: Like Celeste, Skaarf plays that hyper carry role with Lorelai, who Lorelai can help protect and scale up in the early game and dominate in the late game. Taka: As another unexpected development in 5V5, the new and improved Taka plays in the top lane, often builds Metal Jacket as his first item, and uses his slipperiness not to sneak up on enemies for ganks, but instead to avoid kills, dodge CC, and outlast the enemy in fights. Somewhat similar to Ozo in pairing with Lorelai, Taka provides a great distraction in team fights who can surprisingly tank up a good amount of frontline damage before jumping under his box. Tony: Tony is an incredibly strong frontline brawler, which pairs great with Lorelai. The fact that each of his abilities has a form of CC makes them an even better match. Varya: Another CP hyper carry, Varya makes a great pair with Lorelai’s protective abilities. Varya is perhaps the best hyper carry to pair with Lorelai due to her ability to dash into team fights, gain fortified health, and make great use of Water Wall. Vox: Vox falls in that middle category between squishy hyper carry and sneaky fighter who can dance around in the front of fights and rack up Breaking Point stacks. Either way, Vox excels in the late game, and Water Wall allows Vox to get even more in the thick of the fight than usual. Now in 5V5, CP Vox has caught on, and Lorelai can keep him in fights to bounce that resonance around. Blackfeather: While Blackfeather works with Lorelai in some ways with his frontline fighting nature and ability to enter or exit a fight at a moment’s notice, he tends to be a little less tanky than some of his other WP melee counterparts like Joule or Rona, which nudge him down into just the mild synergy category. Grumpjaw: Grumpjaw does function well as a frontline tank, and his slows pair great with Lorelai’s slows and stuns. Grumpjaw just tends to hit his power spikes around the early to mid game, before Lorelai has access to Water Wall to help protect him on his dives. Malene: Lorelai and Malene both play from the backline of fights, necessitating a frontline tank to peel for them in order to land their abilities. Once this is fulfilled, Lorelai’s utility and crowd control group up enemies for Malene to cast away from a safe distance. Reza: Like Taka, Reza is beginning to see some play in the top lane as a utility carry in 5V5. He functions great with Lorelai in this build path as a frontline-ish, wily hero for Lorelai to play around. When built his traditional CP path, his early game power spikes mismatch with Lorelai’s late game prowess. Samuel: Samuel is absolutely killing it in 5V5 as a mid lane CP carry. His AoE damage, long range, and mobility make him incredibly difficult to deal with. That said, Samuel pairs best with captains who enhance his already great mobility, which Lorelai’s pools only do so much of. Also, Samuel hits multiple power spikes over the course of the game, and Lorelai only really accentuates him in the late game. SAW: While SAW’s usage has calmed down quite a bit since the introduction of 5V5, he is still one of the toughest threats to deal with in the bottom lane, requiring dedication of heavy resources from the enemy team. Lorelai can hang out in one of her pools with him in lane, use her empowered damage to enhance the push, and get off some nice stuns on any enemy carries who dare try to farm under SAW. Skye: Skye’s mobility is her main strength, and Lorelai’s pools can make pinning her down even tougher than usual. Like Samuel, though, other captains are more suited to enhance Skye’s mobility. Petal: For a while, hyper carry WP Petal was all the rage, and that build path paired perfectly with late game Water Walls from Lorelai. After several nerfs, however, WP Petal has fallen back to earth. CP Petal has once again become the staple play, and her mid-range, consistent rather than burst damage doesn’t quite fit with Lorelai’s kit. Ringo: Ringo can use his Twirling Silver speed to dance around enemies stuck in Lorelai’s pools, and Ringo can build into that late game hyper carry who Lorelai can protect with her Water Walls. In general though, Lorelai has trouble helping Ringo make the most of his early game power spikes. Gwen: Gwen has a very similar skill set to Ringo’s, only without the potential to hyper carry in the late game, keeping from ever benefitting much from Lorelai’s kit. Koshka: Koshka’s Yummy Catnip Frenzy can pair well with Fish Food, but otherwise, Koshka and Lorelai are a mismatch at almost every level. Koshka is squishy and so is Lorelai, Koshka likes to dive and Lorelai can’t keep up, Koshka power spikes in the early and mid game whereas Lorelai excels in the late game. The list goes on. Look for a different jungle partner when playing Lorelai. A flexible captain with multiple different playstyles, Lorelai is a lot of fun to play and brings an interesting skill set to all sorts of team compositions. 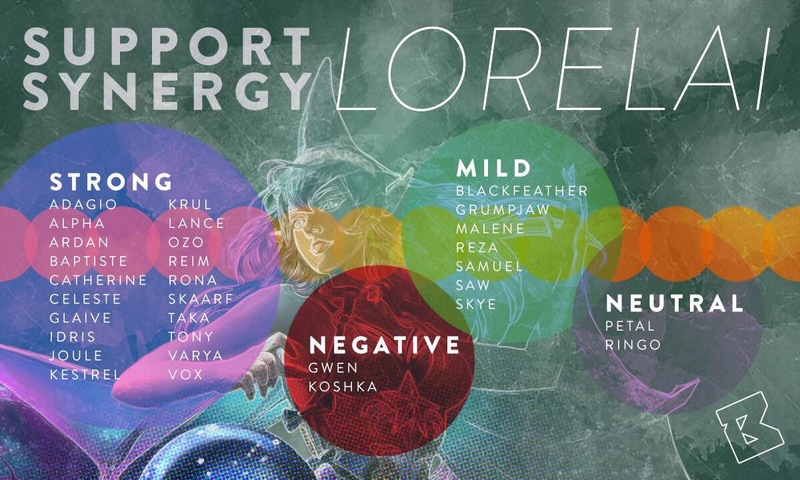 Recognizing where each hero plays on the line of fights will allow you to pair Lorelai up with her most daunting synergies.